Reluctant to join in all that Halloween fun? There’s nothing more horrifying on Halloween night than having your child come home dirtier, colder, and bloodier than when he left. It’s not the spooky stories from the Boogeyman, Freddy Krueger, goblins, ghosts, or wicked witches that should scare you. The REAL dangers during this time of year are injuries such as burns, falls, and poisoning. Most of these are highly preventable – if you prepare in advance. You can’t necessarily keep them indoors on Halloween. But you can ease your anxiety and panic attacks by observing some of these “oldie but goodie” tips in mind. Rather than wearing individual costumes, plan and agree on a theme as a family. This makes every member easily recognizable and associated with your group if you happen to get separated from each other while you’re out and about. Do NOT use real objects as “props”. Swords and knives should be artificial and made out of flexible material. 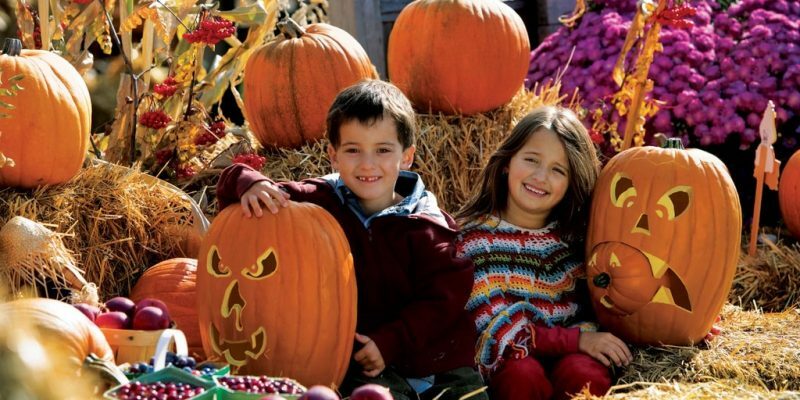 Use flashlights instead of candles for jack-o-lanterns to reduce fire hazards. Whether its reflective tape or glow sticks, anything that shines in the dark is a plus when it comes to safety. If they’re worried about their costume being “ruined”, have them carry a flashlight. This prevents accidents, especially along the road or while crossing the street. According to Safe Kids Worldwide, twice as many child pedestrians are killed while walking on Halloween than any other day. Criminal activity varies for every city. In Boston, Massachusetts for example, it was reported that in a span of three years (2006-2009), criminal activities increased on New Year’s Day, Independence Day and Halloween. Don’t let crime ruin their Halloween fun. If your kids don’t have a phone, at least have them carry a piece of paper with an address and emergency contact number. The best time for trick-or-treating is said to be between 6:30 to 8 p.m. Parents’ discretion is still considered, so others may still continue to go earlier or later than the suggested hours. Walk on sidewalks, or walk facing traffic, but as far away from the road as possible. Stay in neighborhoods you know your way around. Take note of the weather and wear climate-appropriate layers. Alternatives for trick-or-treating include organized Halloween affairs at malls or at school, or indoor parties designed for kids. Be sensitive about the hints your neighbors try to send out. Porch and indoor lights that are turned off pretty much mean they’re not entertaining trick-or treaters or are simply not home. Double-check that masks do not obstruct their view. Keep eye holes big enough for a clearer view of the street. Make sure the rubbery masks provide adequate ventilation. If shoes restrict movement because they’re too big or new, change it. Don’t wait until it ruins their Halloween fun. Don’t forget to check the costume’s length, or kids may end up stumbling and tripping all night. Try on face paints and masks in advance for allergic reactions or hazardous effects. Check for lead content. Those who purchased colored contacts to enhance their costumes are at risk for infections and loss of vision. It’s NOT advisable to obtain a pair of colored contacts without a doctor’s prescription. 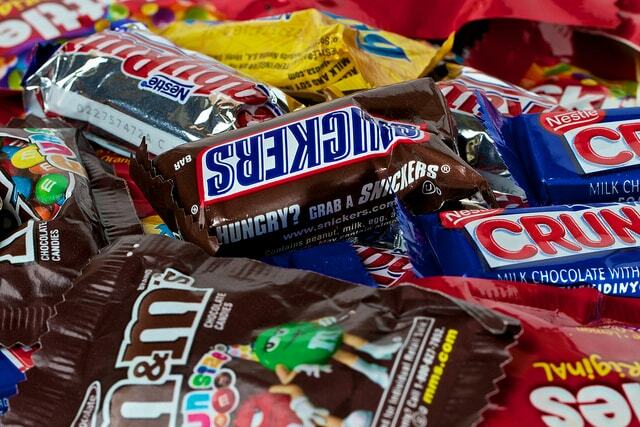 *Pro Tip: the less candy you eat on Halloween night, the more leftovers you’ll have for the following days – or weeks! Drunk/intoxicated people in costumes on Halloween night are pretty much equivalent to zombies. If offered treats from a random stranger’s home or car, keep your distance. Remind your kids NOT to eat any candies until they get home. Some urban legends may turn out to be true, so always check for suspicious looking sweets and wrapping. The biggest hazard when it comes to candy is choking. Ready for Some Halloween Fun? Trick-or-treating remains to be the most popular way to celebrate this spooky occasion; so make sure your family is safe at all times. Have a meeting beforehand to set guidelines and curfews. See who will be chaperoning who. Ensure everyone is aware of what to do during emergencies. Prioritizing safety will guarantee that you and your family is sure to have good, clean Halloween fun – no matter how you decide to spend it.